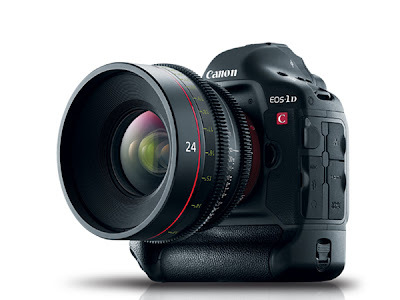 Canon announced the EOS-1D C cinema camera a few months ago. This camera is the first Canon hybrid DSLR to offer onboard 4K motion imaging and Full HD motion imaging on CF cards, in a rugged, ultra-compact form factor. Coupled with Canon's compact EF-mount lenses, the EOS-1D C facilitates 4K image origination in the tightest and most challenging environments, opening up fresh cinematic opportunities along the way. Canon has been very aggressively courting the motion picture industry and catering to the needs of movie and video producers and cameramen. They have even opened up a Canon Professional Service repair facility next door to the historic Sunset Gower Studios in Hollywood. I understand there are pre-production models of the EOS-1D C out there for a few selected producers and cameramen to try their hands on this state-of-the-art equipment. The expected delivery date should be late 2012 to early 2013 with a list price of $15,000.